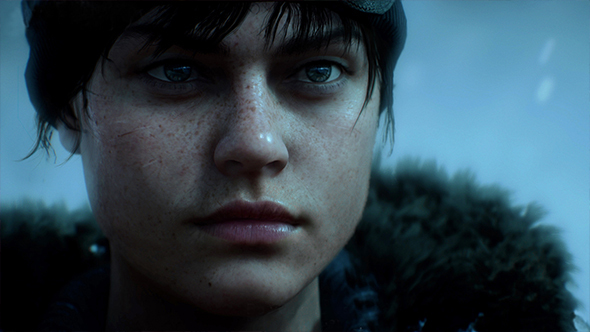 The Battlefield V reveal has unexpectedly provided an internet drama magnet, with its female characters apparently destroying the immersion of players who come to the series for a realistic, sober take on war with all its point capture rules and instant respawns. DICE doesn’t seem too bothered by it all as the developer says it’s sticking by its decisions. DICE GM Oskar Gabrielson tweeted a lengthy response to the whole conversation. “First, let me be clear about one thing. Player choice and female playable characters are here to stay. We want Battlefield V to represent all those who were a part of the greatest drama in human history, and give players choice to choose and customize the characters they play with. Some historical accuracy, but mostly a lot of deathmatch – check out the best World War 2 games on PC. To be clear, some of the backlash against Battlefield V has been about the irreverent tone displayed in the debut trailer rather than specifically the presence of female soldiers. Yet Gabrielson is much more concerned about the fun factor, reposting the gif that’s been going around whenever the topic of Battlefield’s “realism” comes up, along with a response to the “#NotMyBattlefield” hashtag that’s become popular since the reveal. Executive producer Aleksander Grøndal tweeted similarly yesterday, saying, “We will always put fun over authentic.” There are, perhaps, a statistically improbable number of women combatants showcased in Battlefield V’s promotional material, though cherry-picking those very real, if rare, historical precedents which are most interesting has been the standard for history-themed entertainment more or less forever. In any case, if you need a preponderance of penises in your Battlefield, you can replace the game’s cover girl with a cover boy simply by paying an extra $20 for the Battlefield V eluxe edition’s unique cover art. It’s a steal for those whose prejudices overwhelm their bank accounts.